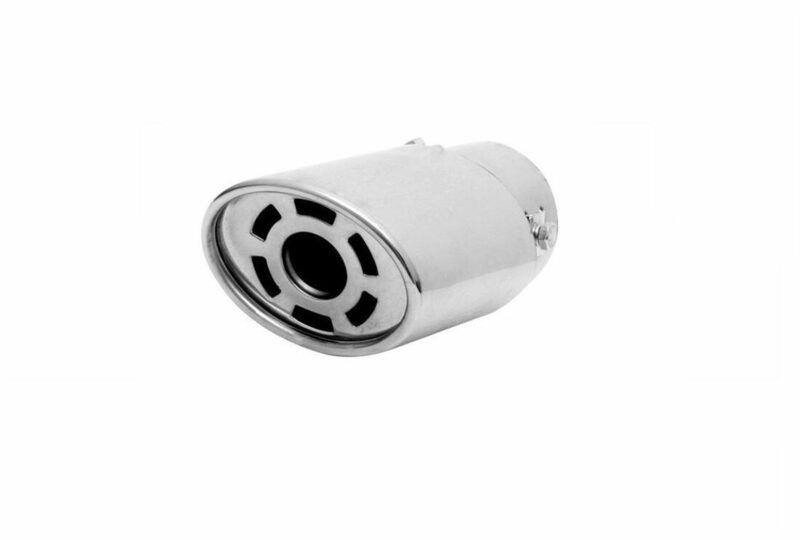 Car Exhaust Turbine Style Silencer Muffler Tip Product Description Car Exhaust 2.5 inch Silencer Muffler Tip-Turbine Style Features : 100% brand new, high quality aluminum stainless steel. Easy to install, it has two screws on the muffler tip, you just have to plug and screw it. Made of high quality stainless steel. Universal design can be installed in most of the small and midsize cars. Used for 5.0cm or below 5.0cm diameter silencer pipes. Reduces exhaust noise and gives a new elegant look at the back of the car. Specifications : 2.5" inches exhaust tip. Length: 4.5" inches. Package Includes : 1 x Car Exhaust 2.5 inch Silencer Muffler Tip-Turbine Style.